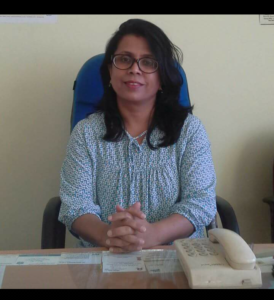 Dr. Shobha Sharma is an Associate professor in English employed in Sikkim Government college, Tadong. She has successfully completed a minor research project on The Problems and Prospects of English Language Teaching and Learning in the East District of Sikkim, funded by UGC. She has presented a host of academic papers in different national and international forums. The most recent being a Comparative study of Socio-cultural conditions in the poems of Dr.Rajendra Bhandari and Jayantha Mahapatra, which is also her doctoral thesis. She is an enthusiast and environment conscious academician. She has initiated to lead the LEGH Movement in Sikkim along with his Coordinators. She has a great zeal and passion for the LEGH (Literature, Environment, Gender and Human Rights) issues.